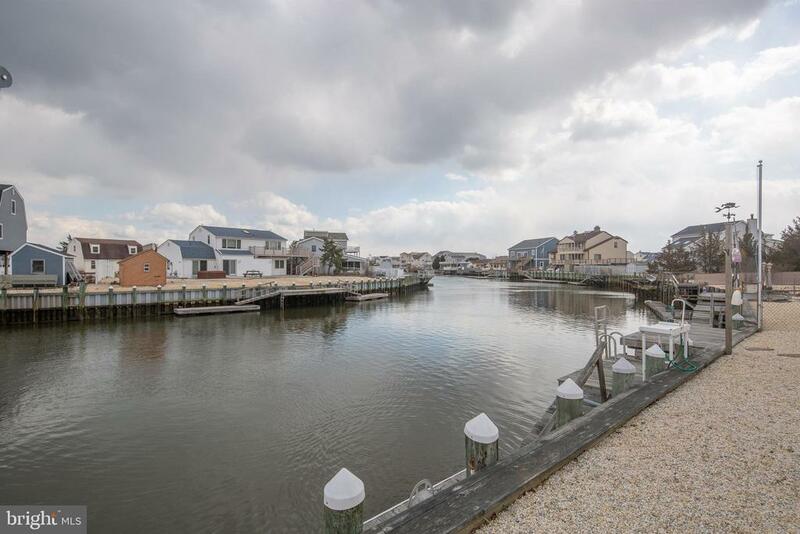 All Tuckerton homes currently listed for sale in Tuckerton as of 04/20/2019 are shown below. You can change the search criteria at any time by pressing the 'Change Search' button below. 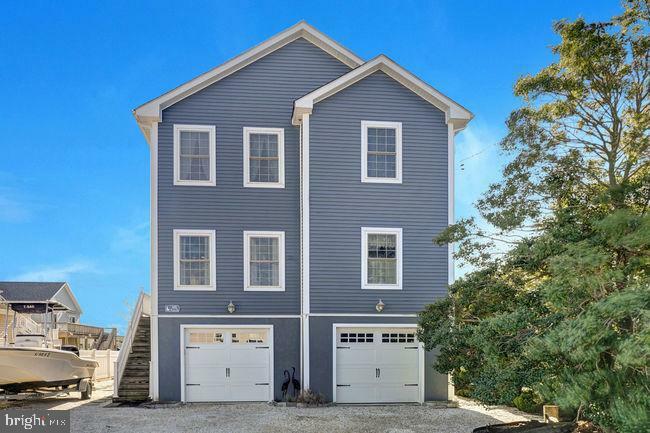 If you have any questions or you would like more information about any Tuckerton homes for sale or other Tuckerton real estate, please contact us and one of our knowledgeable Tuckerton REALTORS® would be pleased to assist you. "This home is your dream come true! A beautifully decorated, fully furnished coastal home sits directly on the water and is just a short distance by boat to open ocean access. It was built in 2007 and has a garage that could fit up to 6 vehicles or divided as part garage and part storage space. A separate rear door give access to the garage from the back yard where there is a dock just waiting for your boat. You enter the main floor through a large foyer that leads to a spacious living room with access to the wrap around deck where you can enjoy the gorgeous views of the lagoon.. A large, well designed kitchen is adjacent to a spacious breakfast/dining area that seats 8. In addition, there is a formal dining room with seating up to 8. A full bath is adjacent to the kitchen. 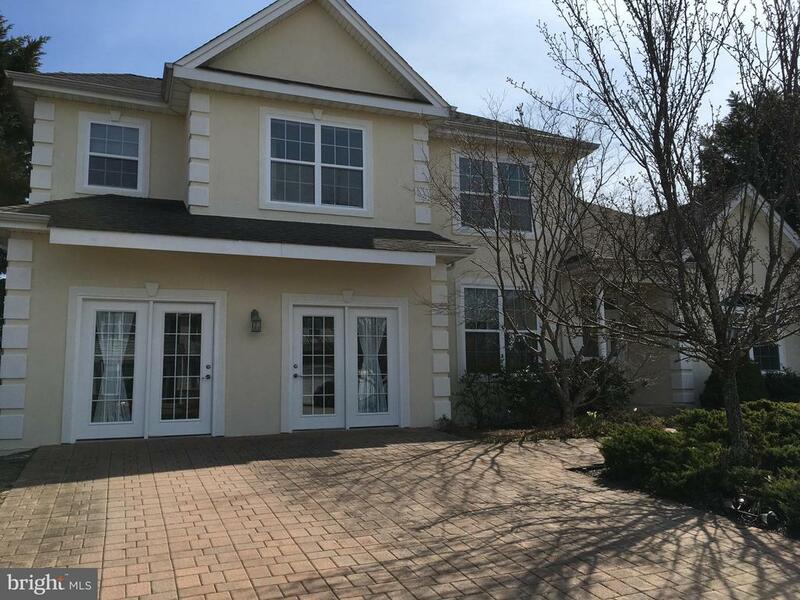 The upper level boosts 4 large bedrooms with walk in closets and 2 addition full baths. The master bedroom has unparalleled views of the lagoon and LBI through the many windows facing east. Don~t miss this opportunity to make your dreams come true!" "Bass River country charmer meets spectacular water views to create a serene nature lover~s PARADISE! Main house offers 3 bedrooms, with 2.5 baths! Attached efficiency apartment provides addt'l bedroom, full bath, & kitchenette - creating space for a 4bed/3.5 home! This beautiful, rustic expanded Cape Cod is your perfect waterfront retreat! Tucked away on over 3 acres of land and an additional 2+ acres of wetlands, this spacious home provides the perfect combination of beauty & tranquility. Custom-built sunroom boasts large windows and is bright, open & airy. This special sanctuary is naturally soaked in sunshine while providing stunning views of the Bass River. Enjoy a cup of coffee & relax in the serenity of watching the hummingbirds, otters, swans, & ospreys in your backyard. Love to boat? Extended dock fits two boat slips, plus addt~l floating dock fits ~ boat slip! HUGE bonus of owning riparian rights for a low yearly fee! Adorned with country knotted pine, crafted ceiling beams, & a sweet country touch that feels just like home! This home features two gas fireplaces & Bosch geothermal heat pump to keep heating bills low! Offering a formal dining room, spacious living room & eat-in kitchen, you will have plenty of space to entertain! Two car garage & shed offer tons of storage! 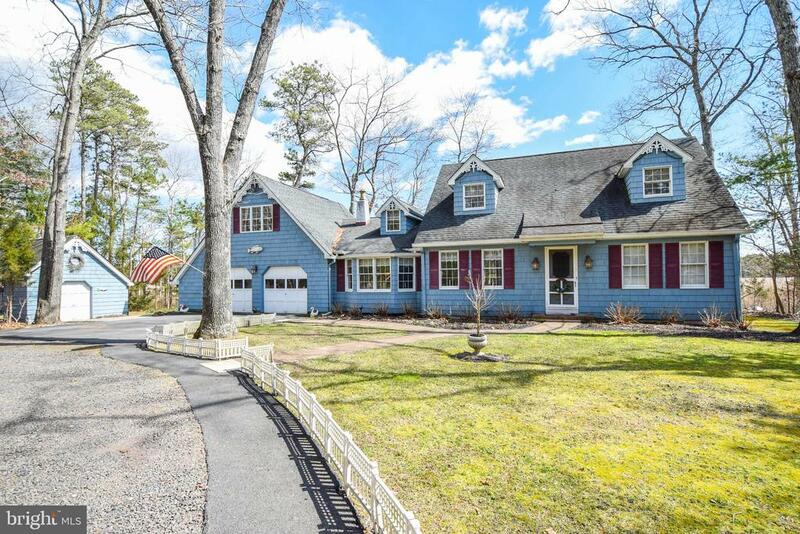 Conveniently located minutes from the Parkway & popular shore beaches, you can have it all ~ wooded sanctuary, low taxes, and an abundance of land! A rare opportunity for your own private oasis!" "Have you always wanted to live on the water? With your own personal floating dock? Then we have your new home located in desirable Osborn Island. An updated 4bedroom 2 full bath home located right on a lagoon with quick access to the inlet to the Atlantic Ocean, costal water was and Great Bay. Enjoy breakfast in your beautiful family room looking over the lagoon, then walk out to your amazing back yard and cast a couple lines while finishing your coffee. After a day of enjoying the water ways of the Atlantic pull up to your own personal dock, fully equipped with a jet ski lift and VINLY BULKHEAD, unwind with great views of the Atlantic City night skyline. You will have plenty of storage for all of your outdoor toys in your attached 1 car garage and a storage shed. This home is equipped with some top of the line upgrades in an On-Demand water heater and a custom made Solid Surface Meganite kitchen counter. In addition to all the activities offered on amazing Osborn Island, you are also located between LBI and Atlantic city for a quick trip to either." "Lovely Raised Waterfront Ranch with a water views and lots of room downstairs for outdoor fun. A perfect Shore getaway, with vaulted ceilings in the living area making the home bright and light. The newer, extra large Anderson French Slider takes you to the wrap around deck and water views. The open kitchen has tiled floors, lots of cabinets, a full Black appliance package, a breakfast bar plus room for a table. Ceiling fans throughout, plus newer front-loading washer and dryer, newer furnace, newer HWH and newer bath. Raised on pilings by Amon with 2 sets of stairs, both in Vinyl and composite for easy maintenance, plus a heavy-duty dumb-waiter for all your packages. The stoned driveway and a concrete pad will store all your kayaks and there is plenty of room for a picnic table and chairs to keep out of the sun. The bulkhead looks good and there is a large dock minutes to Tuckerton Bay and 10 minutes to LBI or the inlet for Ocean fishing. 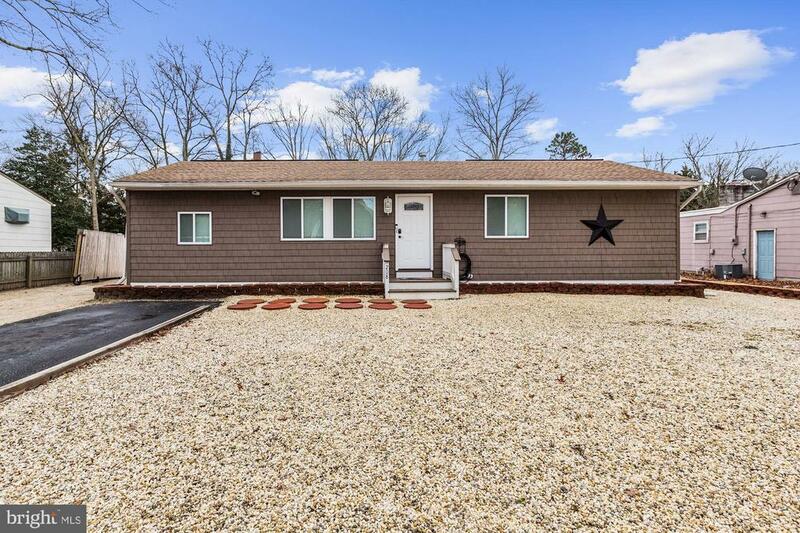 25 Minutes by car to Atlantic City Casinos and restaurants, or take a walk to the 2 nearby restaurants"
"Beautifully upgraded Ranch home. 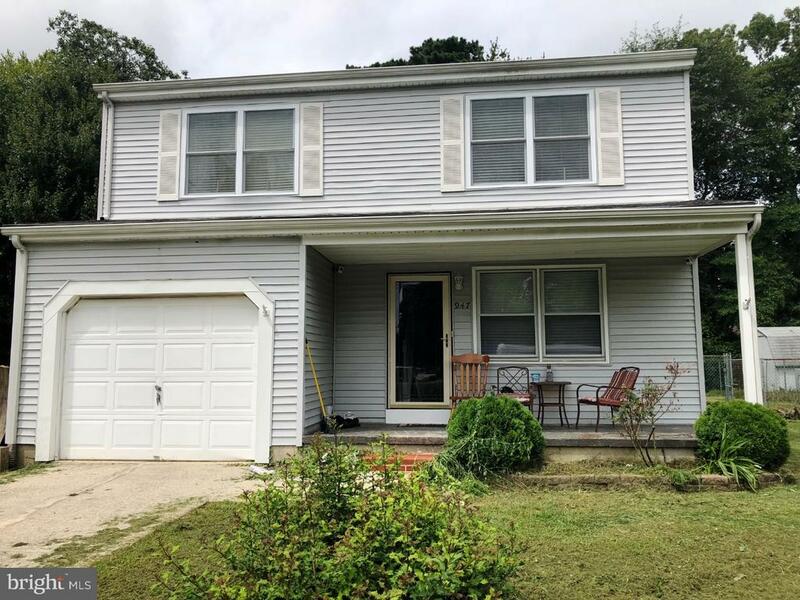 New vinyl siding w/the look of cedar shingles, new windows, 6 panel doors, bamboo floors throughout, and new concrete walkway in the oasis of a back yard. Installed is also 20 year Solar w/240V electric panel. This lovely home has been freshly painted along w/crown molding throughout. The kitchen too has been upgraded w/stainless steel appliances, 5 burner gas stove, side by side refrigerator w/water line and plenty of cabinets and counter space. The family room is currently being used as a 4th bedroom. The oasis of a back yard has an above ground pool w/a brand new liner, a wrap around deck w/solar lights on post and an outside closed in shower for privacy. The detached storage building (21x11) is more of a Man Cave or Hobby Room with its own electric panel, cabinets, and new metal soffit to finish off the outside. I can go on and on but why not come and see for yourself. 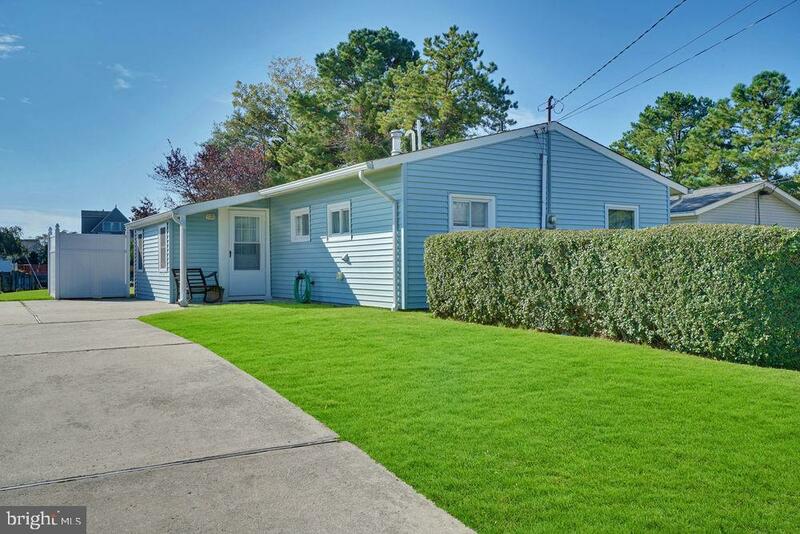 Located within easy access to Garden State Pk Way, LBI Beaches, Atlantic City, Tuckerton Shore and lots of local shopping and dining." "Little Egg Harbor - Mystic Island WATERFRONT - It doesn't get better than this! This newly renovated approx 1000 sq ft home boast 3 Bedrooms 1 bath. Custom Kitchen with the stainless appliance package granite counters, Wide open Lagoon Views. A perfect spot for your boat with the 85ft bulkhead and dock. EXTRA LARGE lot for the endless summer fun or year round living. This is the Home you have Been Waiting For! 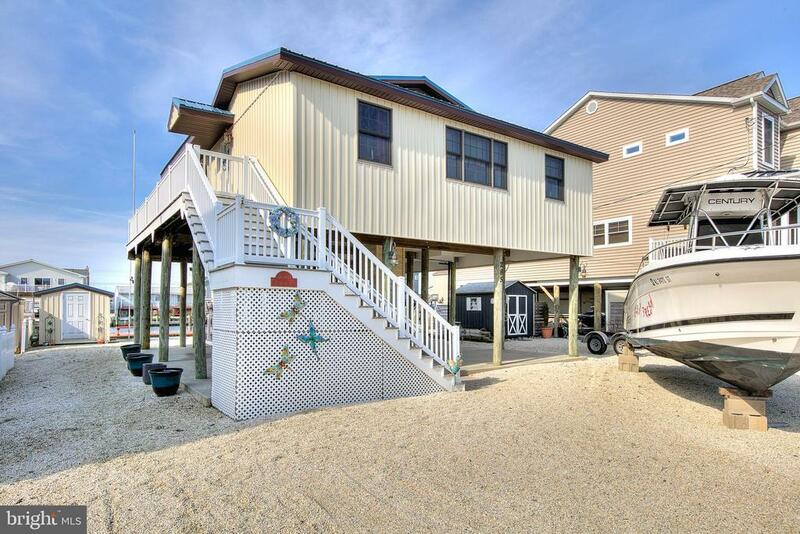 This is Shore Living at its finest with Just Minutes to by boat to open waters." "Come see this beautifully maintained Ranch. The roof is only a few years old, the energy efficient A/C and Furnace are two years old, Insulation is Blown. Great location! Come see"
"Mystic Island. Colonial two story with 1-car garage, attached. Features large, Natural bright living room, country kitchen with sliding glass doors from dining area to 12x12 deck, laundry/mud room with separate entrance, 3 nice size bedrooms including 19x12 master bedroom with walk-in closet. Fenced yard. This home is ready for you to move right in. See it today!!" "Calling all investors!!! 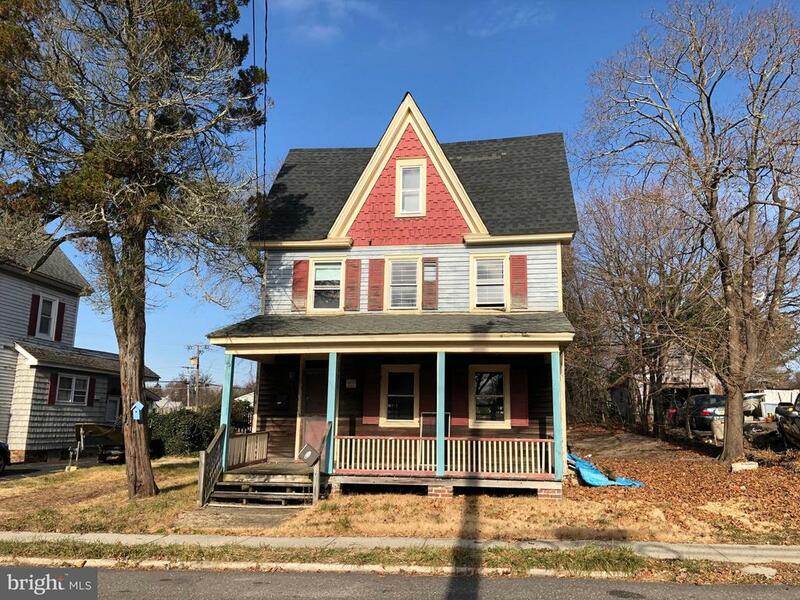 This Victorian style home is ready to be brought back to life. 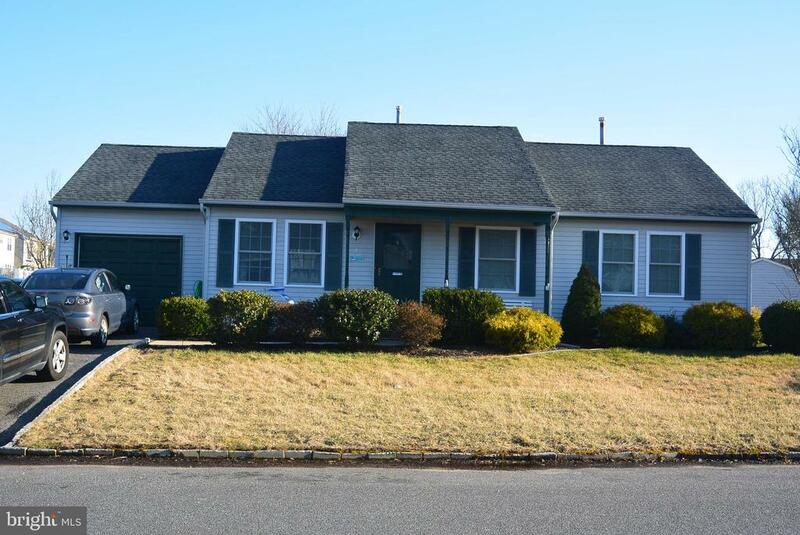 Located on 0.42 acre in Historic section of Tuckerton. Three nicely sized bedrooms plus bonus 600+ square feet of attic space that could be easily converted to living space. Yankee basement great for housing furnace & hot water heater. House has been gutted to studs, above ground oil tank in basement. Alternatively, this home could be torn down and rebuilt on this great lot."